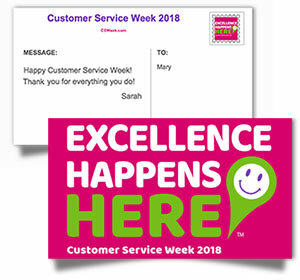 We are delighted to announce that eCards are now available at CSWeek.com. eCards are a fun way to announce your upcoming celebration, invite other departments and individuals, thank your organizing committee for their hard work, and much more. Simply select your favorite card. Preview your card, and send. You may send individual cards one-at-a-time or mail to your entire list. You’ll find the eCards at CSWeek.com. And while you’re there, be sure to click the Shop button to view all of the decorations, rewards, gifts, and stress relievers that we have for you this year.